This is my first official FO for 2017 and, in my not so humble opinion, they may be the cutest darn socks to ever come off my needles. These little love owls are cuddling up in a yarn barn of my making! And a cozy barn it is. The yarn, a 75/25 merino/nylon blend from Heather's Yarn Barn, is so so so soft. I can't stop cuddling these socks. Once I finally put them down to wear them, my toes will be SO happy! And until midnight on Sunday, January 8th, these beauties are 25% off regular price using code SOCIAL25 at checkout on Ravelry (or right here on the website). Here's the deets on these adorable socks! You know you wanna grab your needles and cast on. 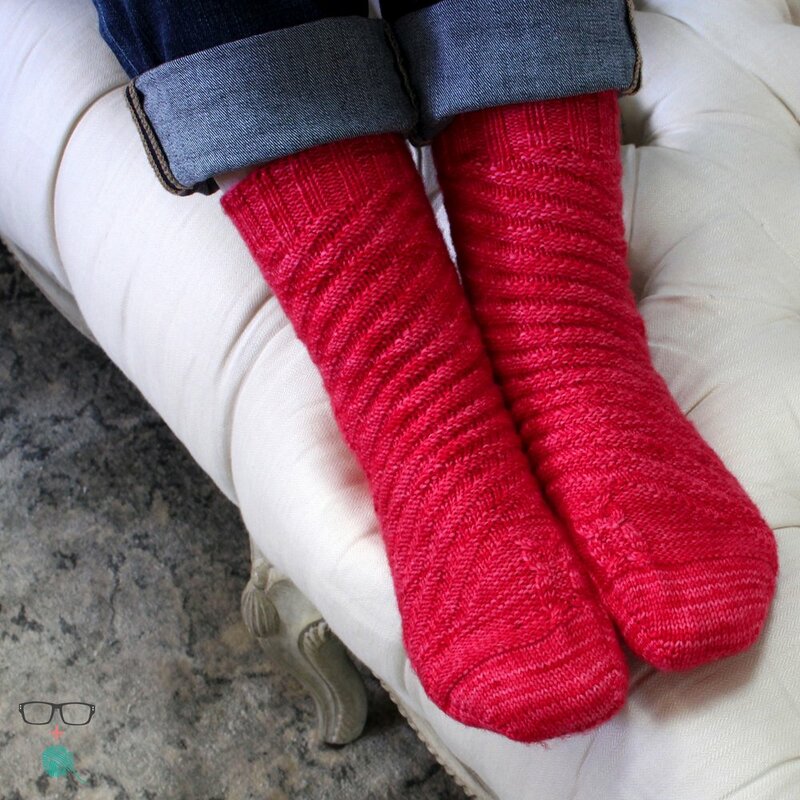 These socks are worked from the toe up and feature a Fleegle Heel - a gusset style heel without pick ups! These socks are mirrors to one another; read the instructions carefully for each sock. This pattern includes written instructions for the Toe Shaping, Heel, Leg and the Cuff. Charted instructions are provided for the patterned section of the Instep. This pattern is written for the Magic Loop technique. In the case of using DPNs, the Front Needle is synonymous with Needles 1 & 2 and the Back Needle is synonymous with Needles 3 & 4. As the gusset shaping increases, you may consider adding a second needle to accommodate the increasing number of sts. While this isn’t necessary, the number of sts on the Back needle will be almost double that of the Front needle once complete - work in whatever manner feels most comfortable for you! Let's get 2017 started right: knit yourself, or your loved ones, some Hooty Hoo's today!